The First Hemp Workshop offered in NM to discuss the cultivation of hemp for CBD oil, fiber and food products. 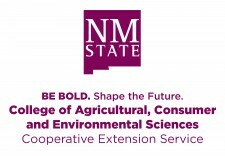 Including current NMDA/USDA legal aspects pertaining to NM business start up costs. Event Time: May 23: 8 am to 5 pm and May 24: 8 am to 3 pm. Registration: $120.00 for participants (Includes dinner, snacks, and all workshop materials). Sponsor and Vendor options available. If you are an individual with a disability who is in need of an auxiliary aid or service, please contact Jeff Anderson by 05/17/19 at 575-525-6649.